Pinnacle Fitness is the Premier Personal Training Fitness Center in the Buckhead area of Atlanta, Georgia with revolutionary equipment including the only Kinesis Wall in the area. 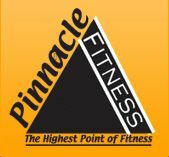 At Pinnacle Fitness, you will be carefully guided by professional, certified trainers and a staff dedicated to your personal fitness and wellness program, which also includes nutritional guidance by a licensed dietitian. "I really want to thank you both for inspiring me and for making my workouts fun. I always look forward to coming to Pinnacle!!! You guys are the best. Thanks for everything!" "It's sad that this day has finally come for me to move to New York and leave Pinnacle. I remember being pretty useless when I first started back in December of 2008! I can't thank you all enough for believing in me and pushing me to do better each day. I feel like a better and happier person thanks to all of you. You guys are great and I miss you already." Cody began self-training over six years ago. Motivated by his own visual results, he realized his own passion for fitness and helping others achieve their goals. He was certified by the National Federation of Personal Training three years later. Cody is an expert working with balance, pyometrics, Boot Camp, Athletic Training, and TRX training. Along with personal training, he conducts small group classes and clients have expressed how impressed they are by his ability to stay so in tune with them in a group setting. No matter your current athletic level, Cody can take your abilities to the next level through his proven pyrometrics, TRX, compound methods. Susan holds a B.S. degree in Exercise Science and Nutrition from Valdosta State University. She has been a certified personal trainer through the Aerobics and Fitness Association of America for over twelve years. Her interest in fitness began at an early age. With an athletic background in basketball, track, gymnastics, and horseback riding, this quickly led to participation in fitness competitions . She placed first in the N.P.C. Fitness/Figure Competition and Galaxy Obstacle Course. Specializing in nutrition, weight management, strength training, and cardiovascular training, Susan's objective in training is to help people achieve more than they thought possible. As a former college and professional athlete, Brandon understands the dedication and motivation it takes to achieve your greatest fitness potential. After playing collegiate football at Mississippi State University and Delta State University, Brandon went on to play two years of Professional Football in the Arena Football League (AFL) and National Indoor Football League (NIFL). Brandon has always had a passion for sports, but his passion for fitness is undoubtedly correlated to the successful trainers and strength and conditioning coaches he has been fortunate to work with: the Tom Shaw (Professional Speed/Agility and Conditioning expert, founder of Sparq equipment and apparel) and NFL Quarterbacks Peyton & Eli Manning (both as a student and a trainer at the Manning Passing Academy). Brandon specializes in sport specific training, speed and agility training, core strength training balance coordination, and weight reduction. He is also a youth athletic development trainer and has conducted several successful bootcamps and seminars. Brandon’s unique approach to training allows individuals with little to zero fitness experience to quickly gain confidence in their pursuit. His dynamic workouts also allow those who are more advanced to achieve their desired results. As someone who wholeheartedly believes fitness will have positive effect on all areas of your life, he will ensure your time spent achieving your fitness will be exciting and productive. He is excellent at creating a fun, motivating atmosphere while constantly challenging your muscles with a combination of traditional and innovative exercises to ensure you the best results with every workout. Jim Dover discovered his enthusiasm for bodybuilding during his time at Kennesaw State University. While attending KSU on a baseball scholarship, he began a strict disciplined approach to weight training in order to improve his baseball athleticism. The visible training results soon spread to a full passion for bodybuilding competitions. As a lifetime drug free professional bodybuilder, Jim's pursuit to gain more knowledge of body mechanics and nutrition has lead him to numerous competition rankings of which include: six state bodybuilding titles, a Southeastern title, a national title and most recently the 2009 Supernatural Bodybuilding & Fitness Masters State Champion. Integrating his passion for fitness & training, Jim has been able to demonstrate his proven results on himself, but more importantly is his desire to share this excitement & knowledge of training with his clients. Jim is an established trainer with over 20 years of instructing individuals, high school teams, collegiate & professional athletes. Jim is a certified Plyometrics instructor, attained through PlyoCity and holds training certifications from both AFFA & ACE.